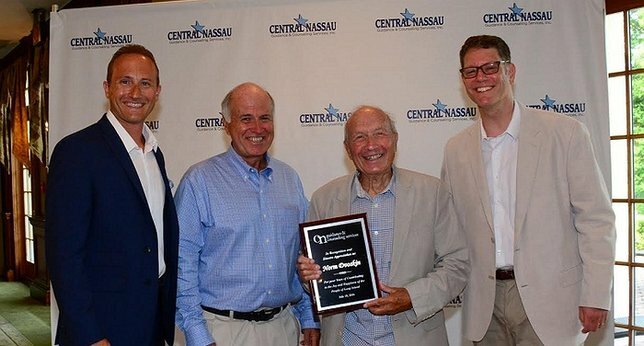 More than 100 LI residents, including almost 90 golfers converged on the Town of Oyster Bay Golf Course in Woodbury to support the work of CN Guidance & Counseling Services. The event raised over $80,000, surpassing even last year’s total. Woodbury, NY - July 25, 2016 - More than 100 Long Island residents, including almost 90 golfers of all skill levels converged on the Town of Oyster Bay Golf Course in Woodbury on Monday, July 18th to support the work of CN Guidance & Counseling Services, a nonprofit providing counseling and treatment to individuals facing depression, anxiety, drug addiction, personality disorder(s), and physical ailments. All proceeds from this 17th annual fundraiser, occurring when Long Island’s deadly opiate addiction is getting headlines across New York state and beyond, will support the nonprofit’s ability to help over 4,700 families and individuals address and overcome conditions ranging from heroin and prescription pill addiction to severe depression and suicidality. Friedman noted during the event that people with serious mental illness often die 25 years earlier than others because they typically don’t access doctors to diagnose or treat chronic conditions, such as diabetes or heart disease. CN Guidance is one of a very few L.I. organizations that provide integrated care. The golf outing / fundraiser featured a day of golfing followed by a cocktail reception, a buffet dinner, raffle drawings, a live auction, and a spirited presentation that honored the recently retired News 12 TV meteorologist and humorist Norm Dvoskin for his four decades of service. The event was emceed by Dvoskin’s colleague, Jamie Stuart, an Emmy award-winning sports anchor (News 12. Stuart has supported CN Guidance repeatedly in recent years. Cook Maran & Associates, a full-service insurance agency was acknowledged as a Tournament Sponsor, and other local businesses were also noted for their contributions. Established in 1972, the purpose of CN Guidance & Counseling Services, Inc., a nonprofit organization, is to improve the quality of life for individuals and families on Long Island affected by mental health and/or substance use disorders by recognizing and addressing the integration of mental health and physical health. The organization leverages a holistic perspective, driven by its belief in the ability of every individual to recover. Subject: LongIsland.com - Your Name sent you Article details of "Golf Event Raises More Than $80,000 and Awareness For Families and Individuals Facing Mental Health and Substance Use Disorders"